MATH – Use these statistics to calculate percent increase or decrease for mathematics. 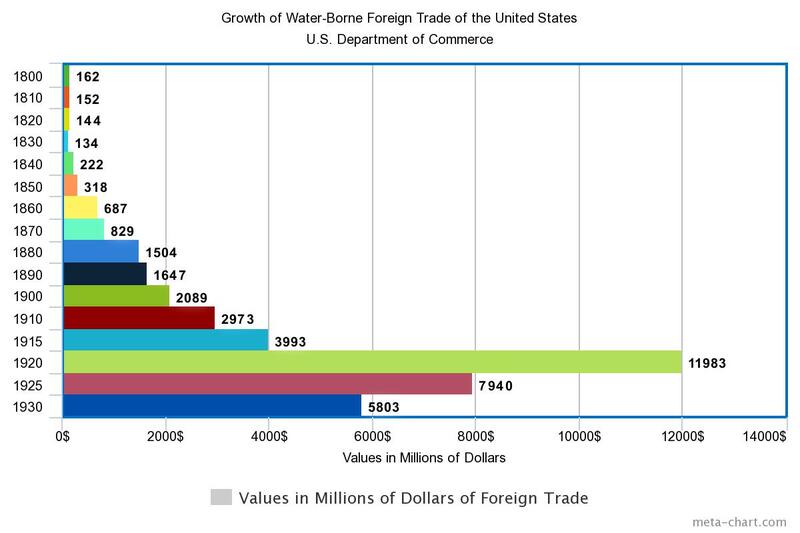 You can also use these trade statistics to see what these numbers can reveal about a historical time period. Explain the impact of the move from sail to steam on trade. What can you learn about the economy and the Great Depression’s effect on trade from these primary sources? First, find the difference between the two numbers. Take the difference and divide it by the original number. Finally, multiply that number by 100. 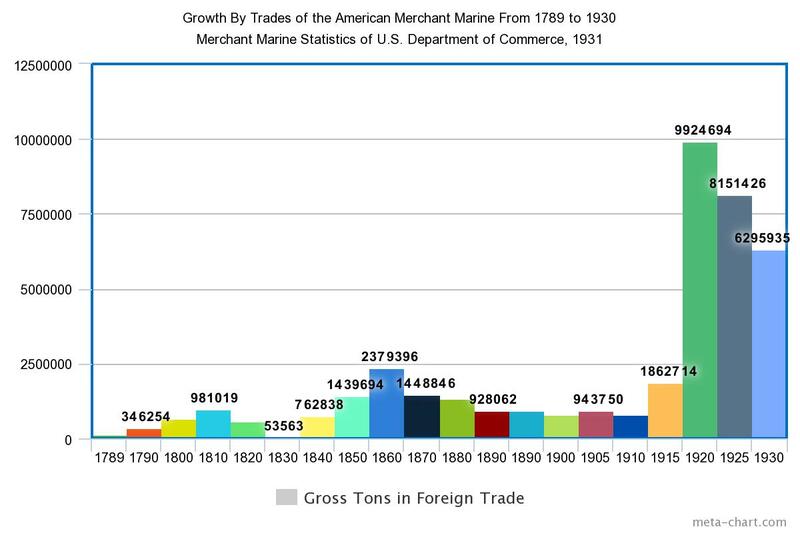 Statistics from a Merchant Marines, Department of Commerce book, SSHSA Archives. Learn more about histograms in statistics from PBS.